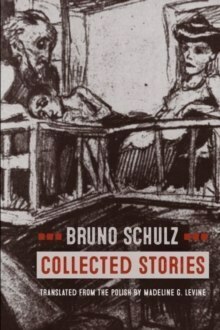 Collected Stories is an authoritative new translation of the complete fiction of Bruno Schulz, whose work has influenced writers as various as Salman Rushdie, Cynthia Ozick, Jonathan Safran Foer, Philip Roth, Danilo Kis, and Roberto Bolano. Schulz's prose is renowned for its originality. Set largely in a fictional counterpart of his hometown of Drohobycz, his stories merge the real and the surreal. The most ordinary objects-the wind, an article of clothing, a plate of fish-can suddenly appear unfathomably mysterious and capable of illuminating profound truths. As "Father," one of his most intriguing characters, declaims: "Matter has been granted infinite fecundity, an inexhaustible vital force, and at the same time, a seductive power of temptation that entices us to create forms. "This comprehensive volume includes all of The Cinnamon Shops, restoring the original Polish title to Schulz's most famous collection (sometimes titled The Street of Crocodiles in English), and Sanatorium under the Hourglass. Also included are four previously uncollected short stories that pay tribute to Schulz's enduring genius. Madeline G. Levine's masterful new translation shows contemporary readers how Schulz, often compared to Proust and Kafka, reveals the workings of memory and consciousness.